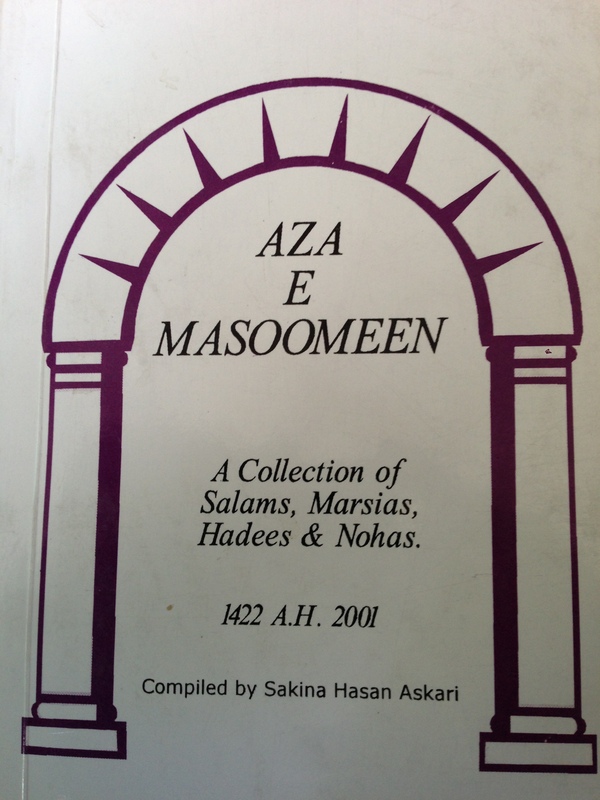 This book gives salams, marsiyas, nohas in Roman English organised day to day from the first night of Muharram till the 12th day. Each chapter also has a short hadees written in English . The hadees is based on words from the Ziarat Warisa and linked to the shahadat of the martyr remembered on the day. It includes a map showing the journey of Imam hussain to Karbala. 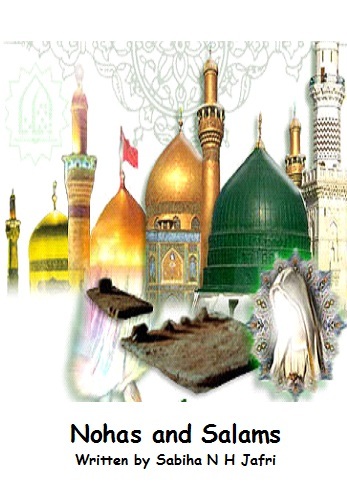 There is a list of the martyrs as mentioned in Ziarat Nahiya. 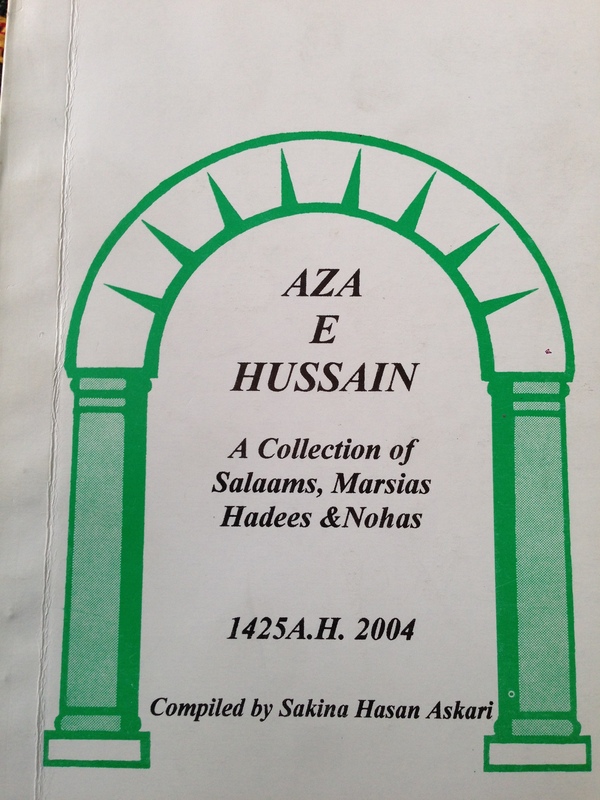 This book is a sequel to Aza e Hussain and starts from the time the family of Imam Hussain (AS) were taken as prisoners from Karbala after Ashoor. It records the days of suffering as the journey took the holy family of the Prophet from Karbala to Koofa then Koofa to Shaam. It includes their hardship in Damascus and the martyrdom of Bibi Sakina (AS). There is a majlis for Arbayeen and the return to Madina. Prophet Muhammad, his daughter Fatima and the 12 Imams are the Masoomeen. 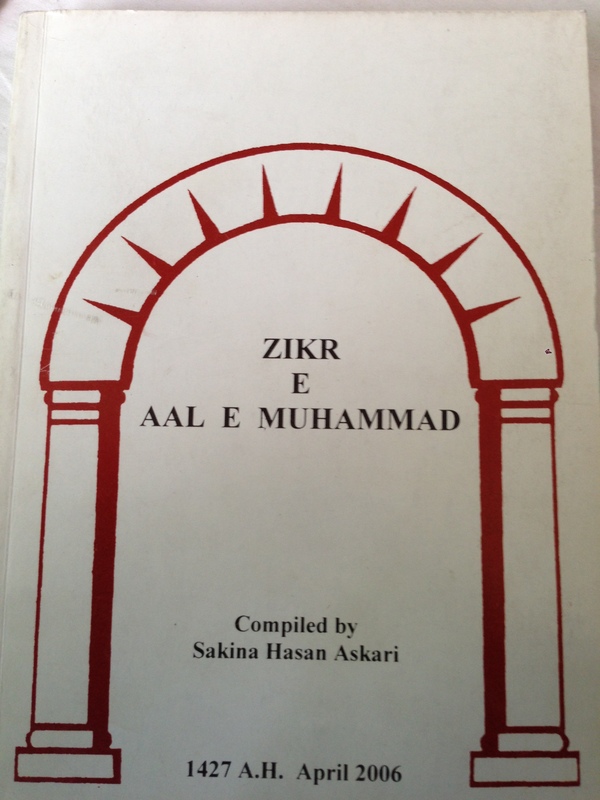 This book has the salam marsiya noha and hadees for each of them . It also includes a hadees giving a short account about each of them and details about their martyrdom. Our 12 th Imam is living so the section about him is about our prayers for his Zahoor, his reappearance. 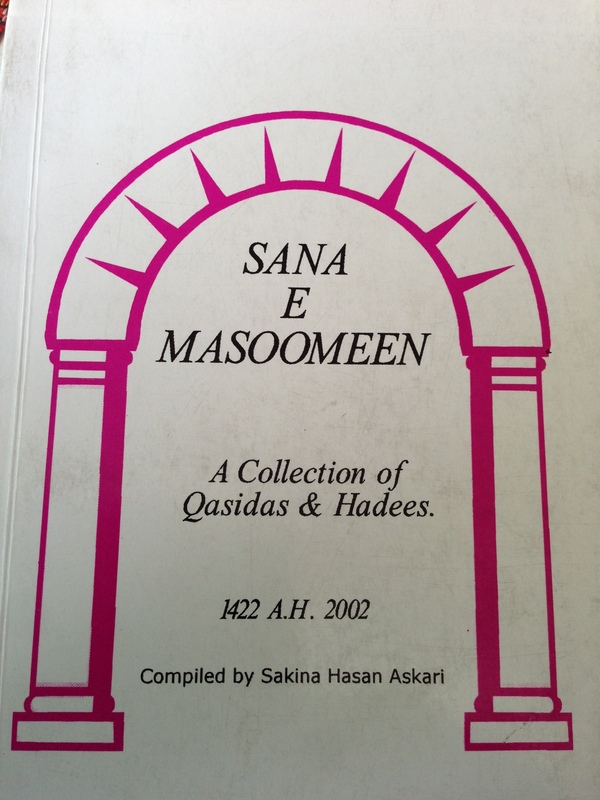 This book has been compiled to celebrate the birth dates of the 14 Masoomeen. 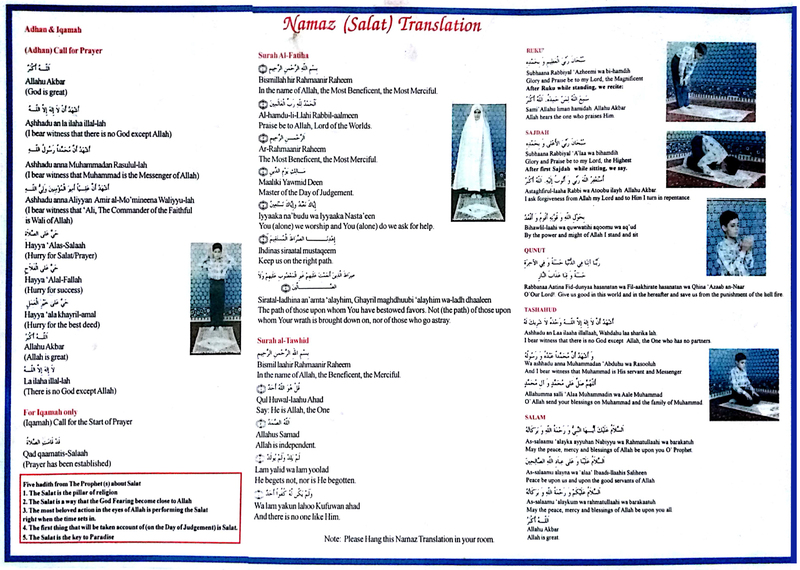 Each section has qasidas and a short hadees together with salam/ziarat. The topic in the Hadees is Dua. Using the same format as before, this book includes important dates like Ghadeer, Mubahila and the Aqd of Imam Ali(AS) and Bibi Fatima(AS). It describes personalities like Hazrat AbuTalib and Bibi Khadija and celebrates the birthdays of Hazrat Abbas(AS) and Bibi Zainab(AS). The topic for the Hadees is Usool and Furoo e Deen. There is a list of Allah’s names to be recited for acceptance of prayers. 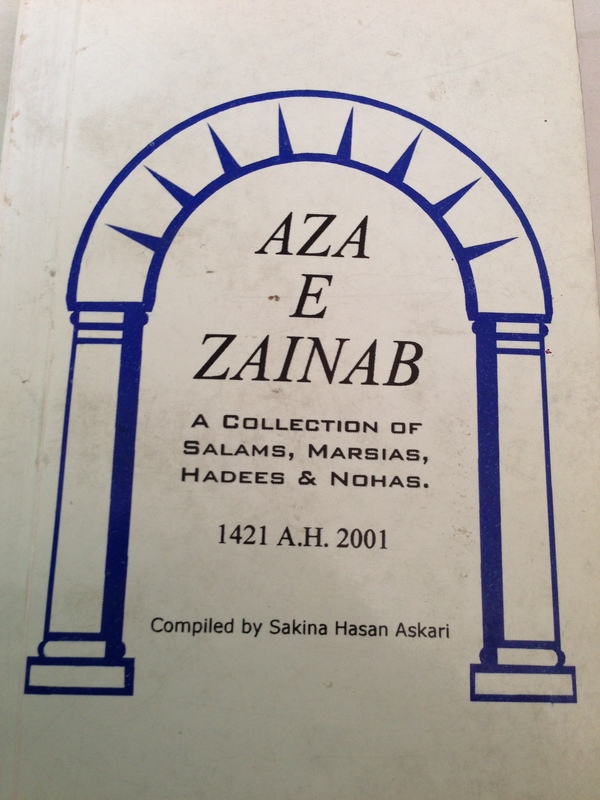 This book has nohas and salams written by my mother Sabiha Nurul Hasan Jafri. They were composed spontaneously by her at different times and show her devotion to the holy Ahlulbayt(AS). They portray the tragic sufferings they endured to save the message of Islam.